Victims of the infected blood scandal in Scotland will get increased financial support, the Scottish government has announced. 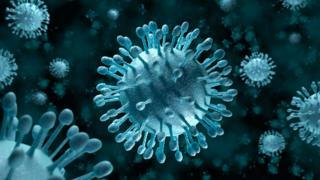 Those suffering from advanced hepatitis C infection will get £27,000 per year - the equivalent of the average income. Victims with chronic hepatitis C will also now receive a £50,000 lump sum payment, up from £20,000 previously. The widows and widowers of those who have died from hepatitis will receive annual payments for the first time. The settlement is significantly higher than that currently proposed for victims in the rest of the UK. The UK government has proposed increasing payments by only a few hundred pounds, however, payments would be offered to more people in the early stages of hepatitis. It is estimated that about 3,000 Scots were infected with hepatitis C and HIV through NHS blood products in the 1970s and 80s. Infections also occurred on a huge scale in the rest of the UK, but Scotland is the only part of the UK to hold an inquiry. In March, the chairman of the inquiry, Lord Penrose, concluded more should have been done to screen blood and donors for hepatitis C in the early 1990s. Contaminated blood - who gets what? Scottish Health Secretary Shona Robison said: "Infected blood is one of the most terrible chapters in the history of our NHS. "Those affected have suffered dreadful impacts on their health, life expectancy and quality of life, including financial losses. "It is quite right that they and their families are given adequate support to help them cope with consequences for which they are entirely blameless." The increased payments, which follow the setting up of a financial review group by the Scottish government, were welcomed by patients groups. Bill Wright, chairman of Haemophilia Scotland, said it was a "watershed moment" that should stop people living in poverty as a result of their infections. He added: "No scheme can truly make up for the loss of life, and health, caused by this disaster. "The cabinet secretary has acknowledged that there is more to be done once these schemes move to Scotland. However, today, we have made historic progress." The Scottish Infected Blood Forum (SIBF) said the announcements were "a step forward" but called for more to be done to help people with early stage disease who do not qualify for annual payments. SIBF convener Philip Dolan said: "We welcome the Scottish government's statement which is a step forward in obtaining some justice for victims. "SIBF and partner organisations will continue to lobby and argue for a full, fair and equal settlement for the needs of the majority, who seek to live out the remainder of their lives with financial stability and dignity". He added: "There is no guarantee that the ongoing needs of the majority who are deemed to fall below Stage 2 will be met. The fear is that more people from this key group will die before a satisfactory and just financial settlement is provided to them." Only those infected in Scotland are eligible for the Scottish scheme.